As everyone knows children have a lot of energy. All of that running and chasing can lead to accidents if the ground is not properly prepared. Here you will learn some of the things you need to consider when building a schoolyard for children. 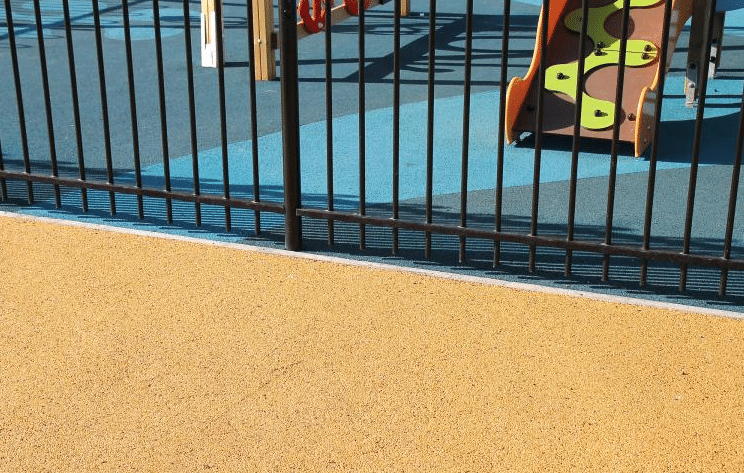 Laying a high friction surface is an important step in ensuring the safety of children in the playground. High friction surfacing is suitable for a wide range of environments and different surfaces. It can not only prevent children from slipping over while running but also ensure that bicycle wheels have a more secure surface to ride on. Areas that are particularly prone to skidding can be identified by red coloured surfacing. When building a schoolyard you not only need to consider children slipping, you also need to think about how they can be best protected from automobiles. 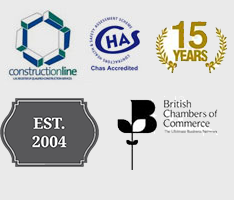 Sharks teeth and speed roundels are two of the main methods of securing school approaches. When building a schoolyard the safety of children needs to remain paramount. One of the best ways of ensuring a safe play environment is with high friction surfacing and protective features such as sharks teeth and speed roundels. This entry was posted in Urban and tagged anti-slip, play surface, playground, resin bonded, resin bound, road surface, school, surface, surfacing, urban. Bookmark the permalink.